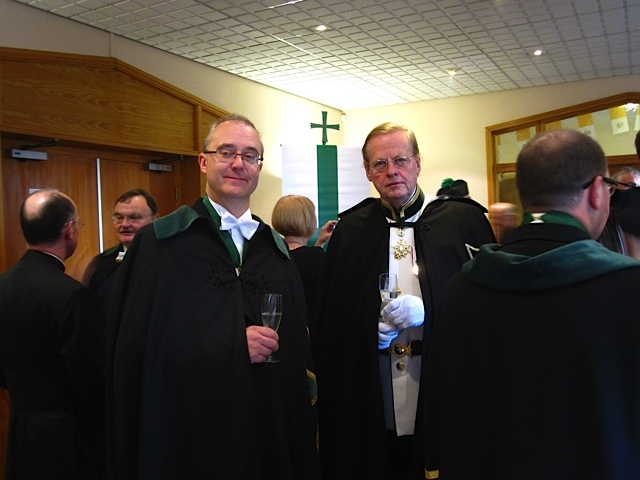 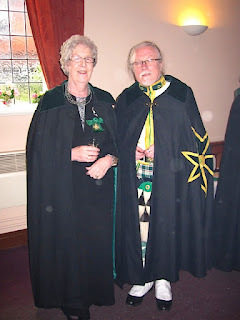 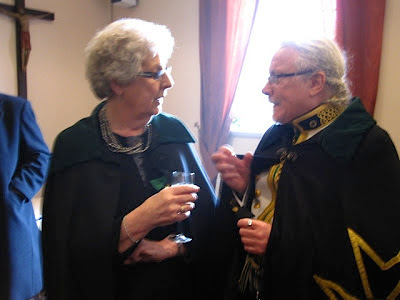 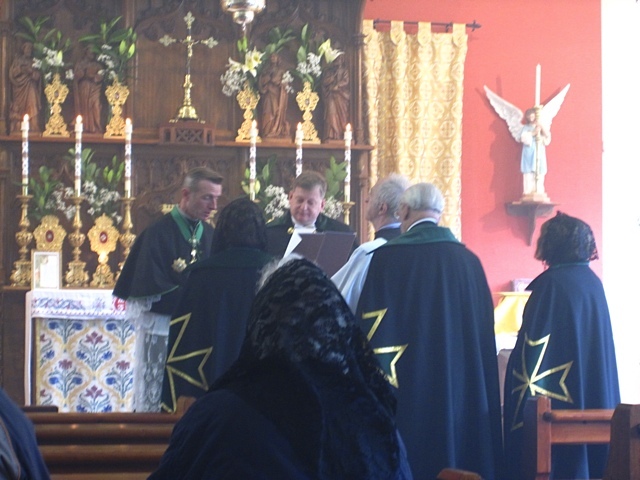 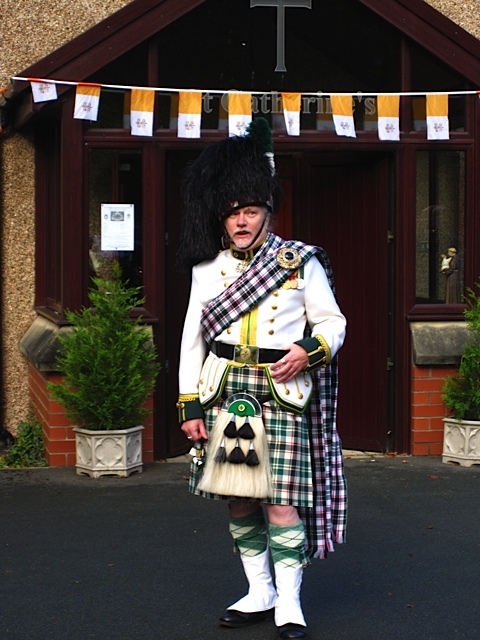 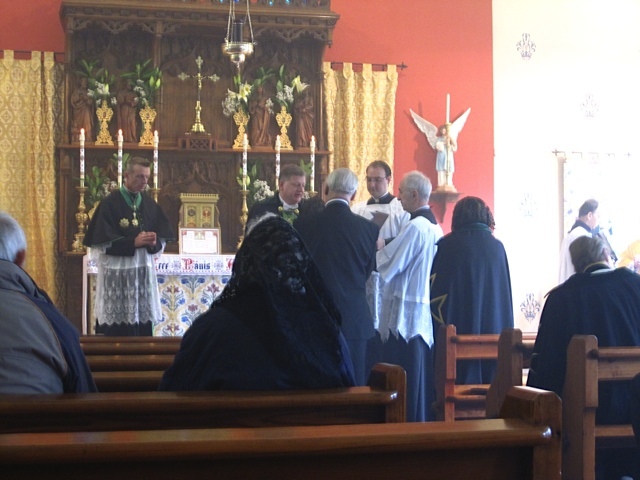 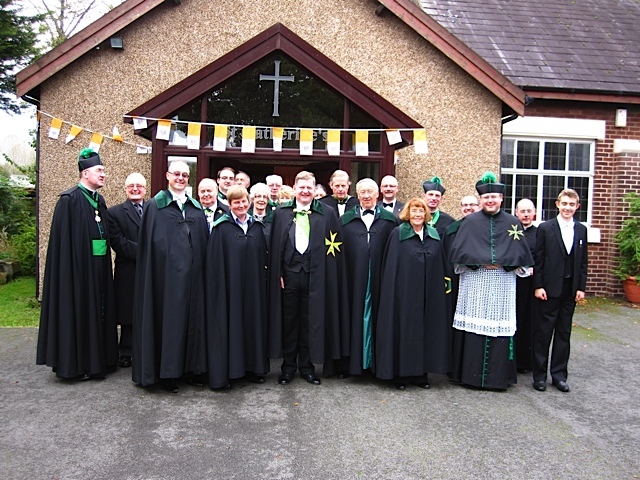 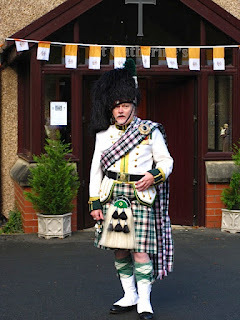 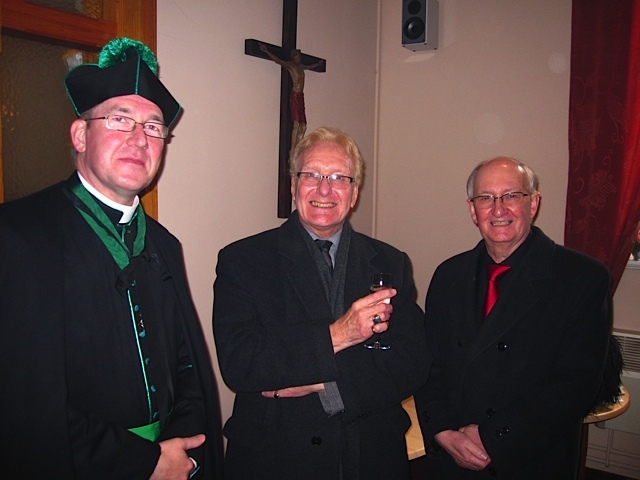 Last weekend the Grand Priory of Great Britain held its annual Investiture in Lancashire. 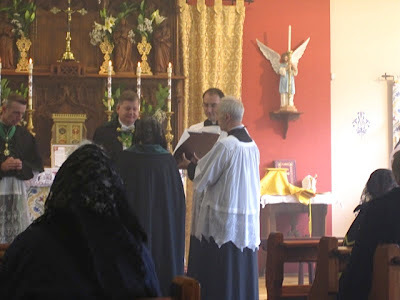 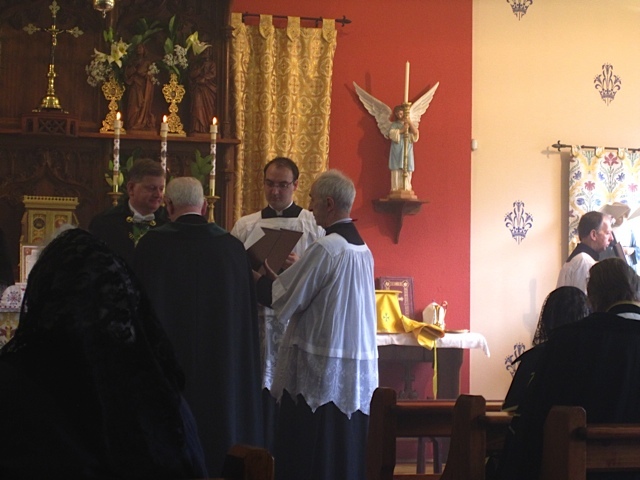 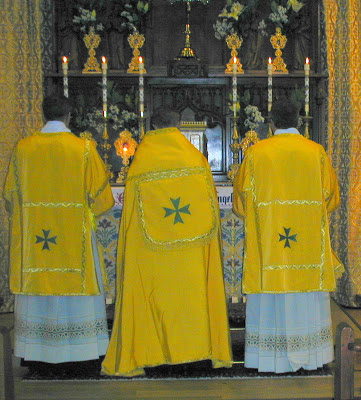 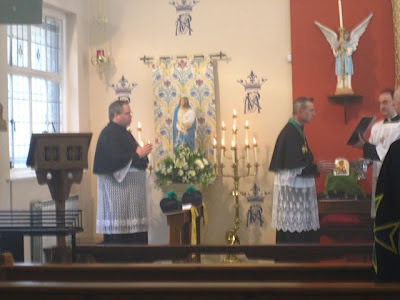 Three Postulants were received into the Order and the Most Revd Much Honoured Chev Michael Chenery, Baron of Horsbrugh and Whitehope KLJ declared his allegance to the Order under the 40th Grand Master. 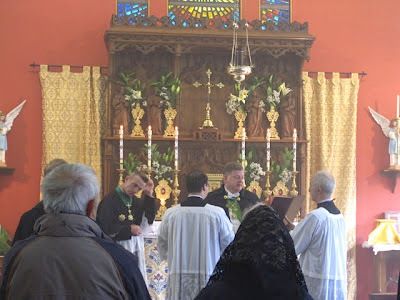 It was a also good opportunity to pass on the good news to those members who could not travel to Prague last month to see Cardinal Duka invested in the Order as the Chaplain General for the whole Order, at the splendid St Vitus Cathedral, in the presence of the Papal Nuncio. 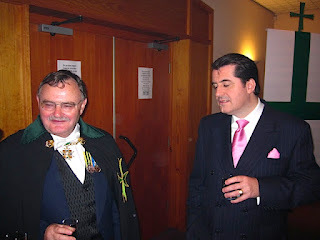 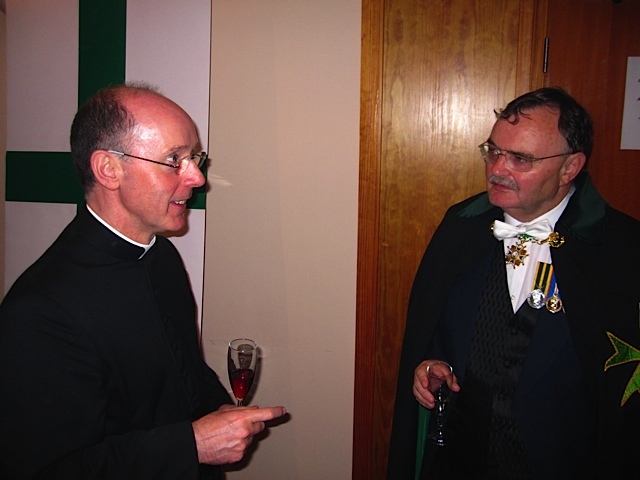 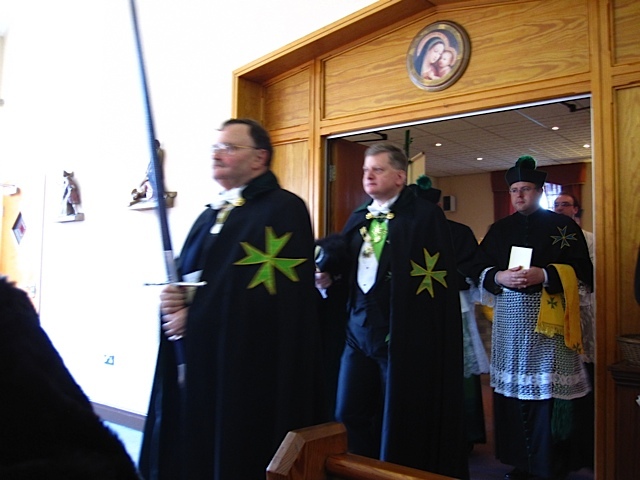 Our present Grand Master, Jan Count Dobrzenský z Dobrzenicz has been very keen to enhance our traditional link with the Church, so for example, in several countries the Order is now recognised as a Pious Union by the Catholic Church and there is a strong insistence throughout the Order that, unlike some of the other green cross organisations, members are forbidden to be Freemasons (again to be in line with the teachings of the Catholic Church). 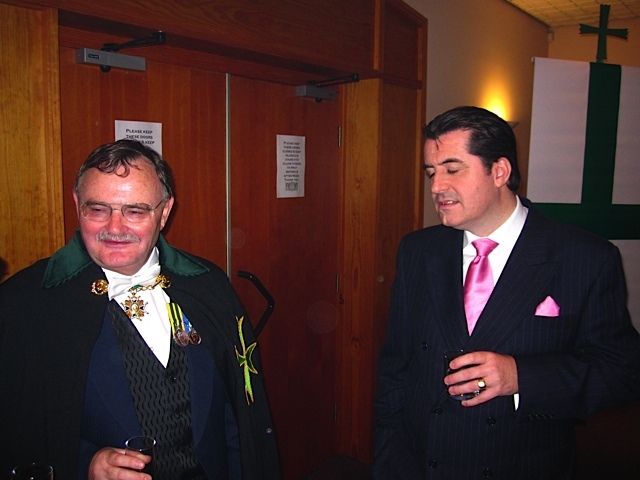 He has also worked very hard for the Order to recently become an NGO in Luxembourg and to be granted Consultative Status at the United Nations. 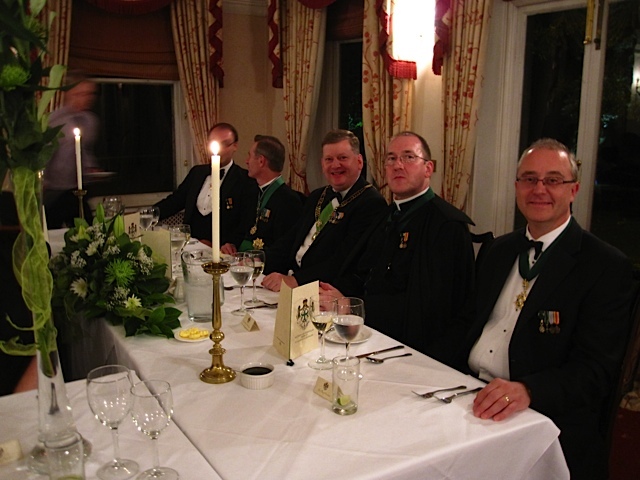 You can read more about the Order at our international site and on our British site. Anyone interested in learning more about the Order or interested in becoming a member should use the links page on the sites to contact the Grand Secretary internationally or here in Great Britain. 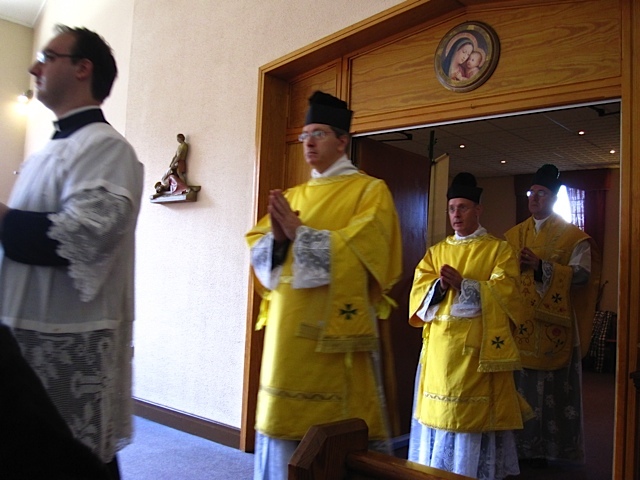 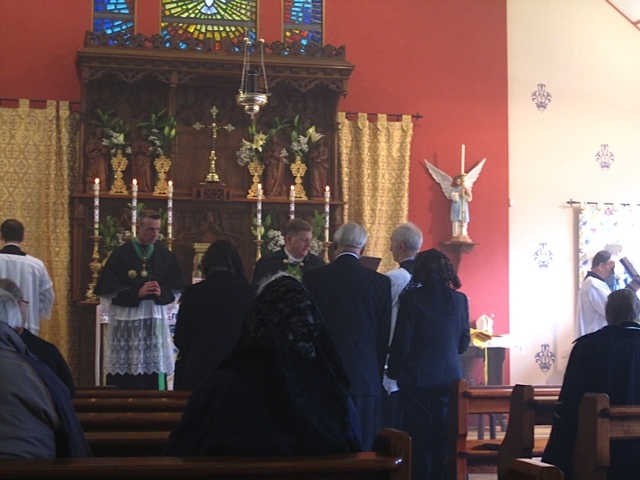 As to the rest of the weekend, after the Vigil Service on Friday evening, to invoke the Holy Spirit for the Investiture, the Grand Prior, H.E. the Much Honoured Baron of Fetternear, presented a cheque for £1,000 to Mr Norman Cutler, representing St Catherine's Hospice in Leyland. The Hospice is the British charity the Grand Priory is supporting this year (the international one being SUROL - a leprosy charity under the patronage of Malcolm Cardinal Ranjith, for which we have raised £9,000). 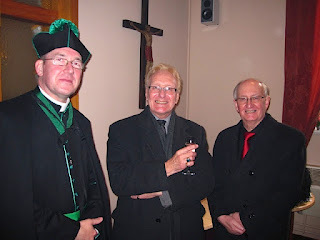 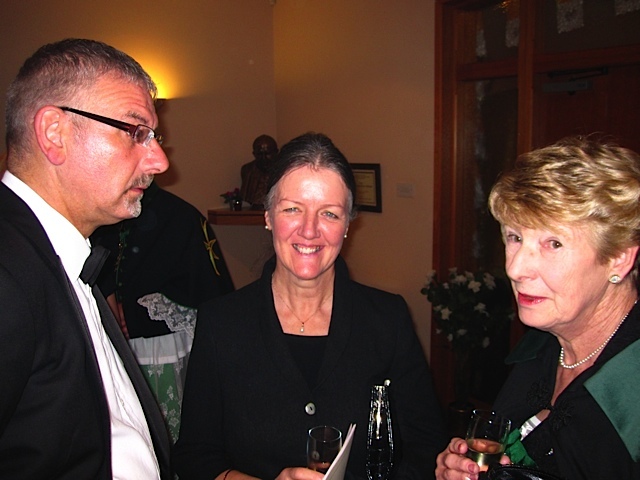 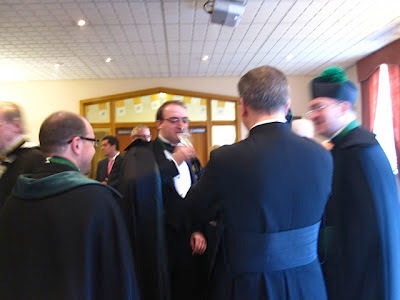 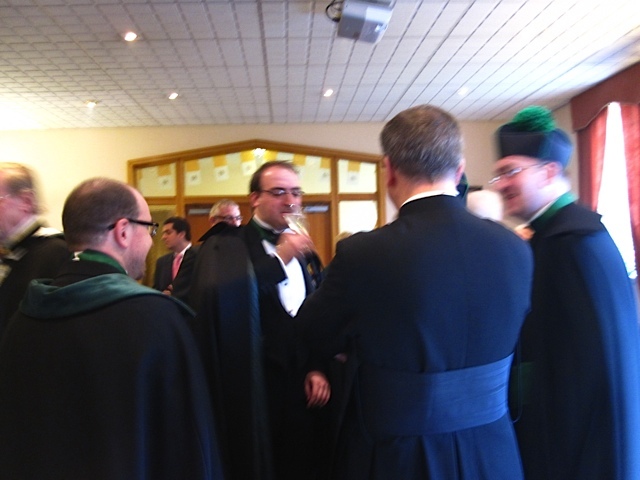 After the Vigil there was a Drinks Reception for members and guests. 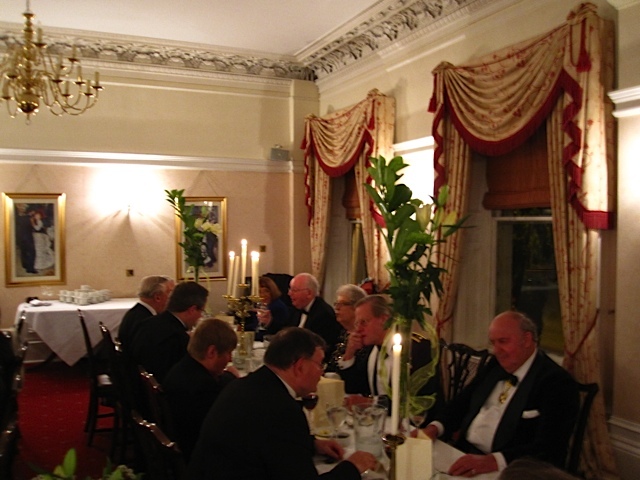 Mr Norman Cutler receiving the cheque for £1,000 from our Grand Prior and with other members. 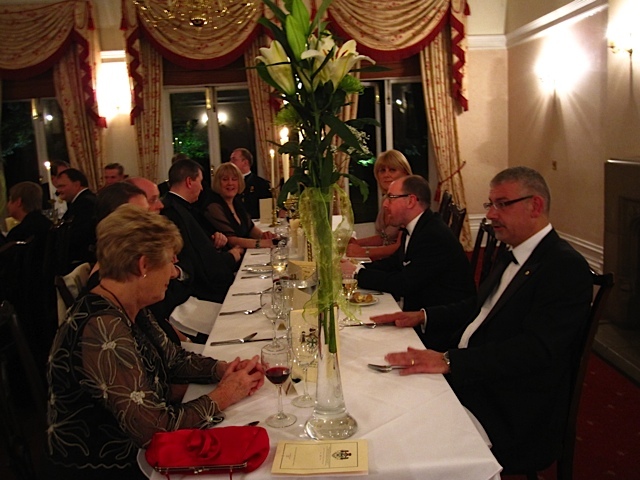 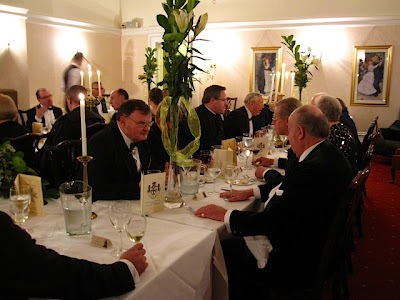 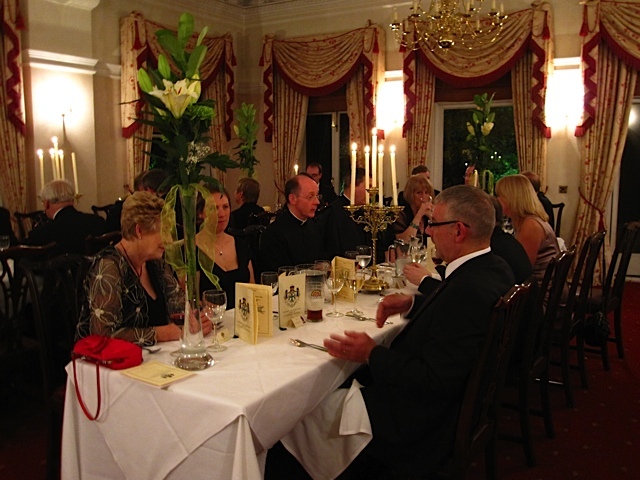 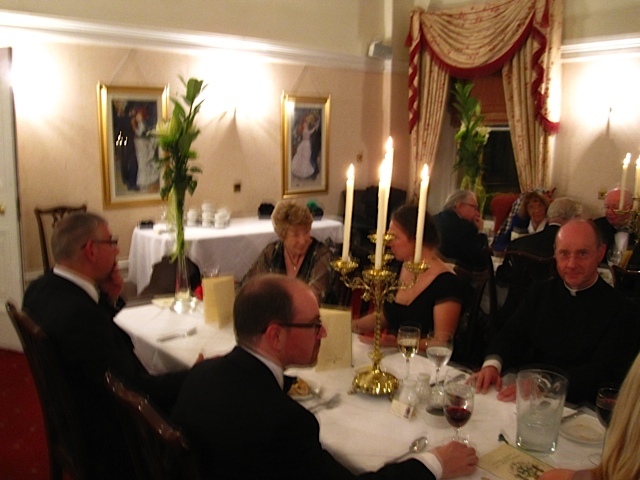 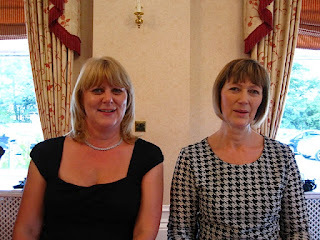 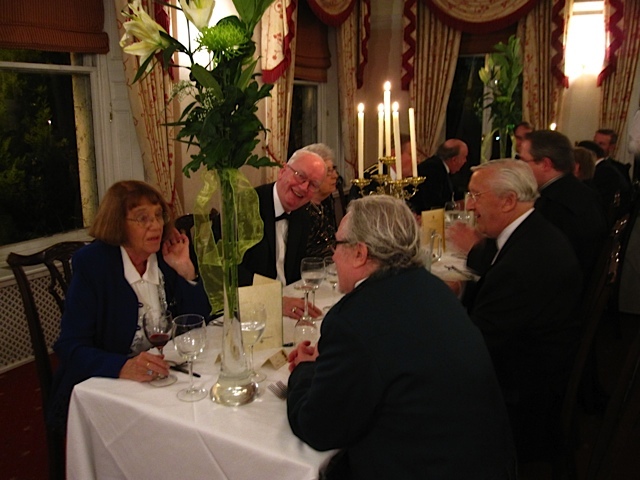 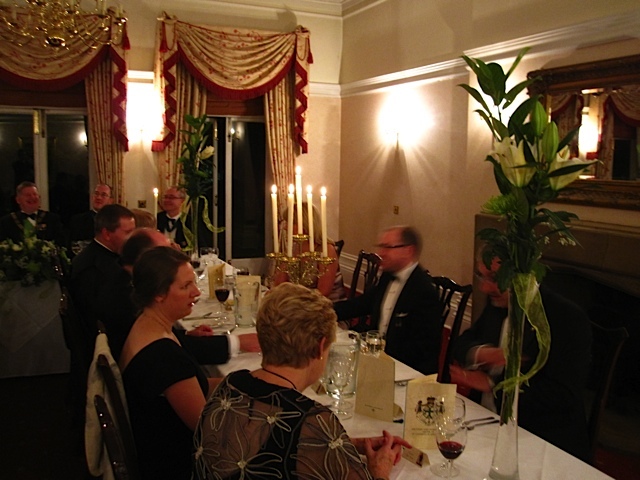 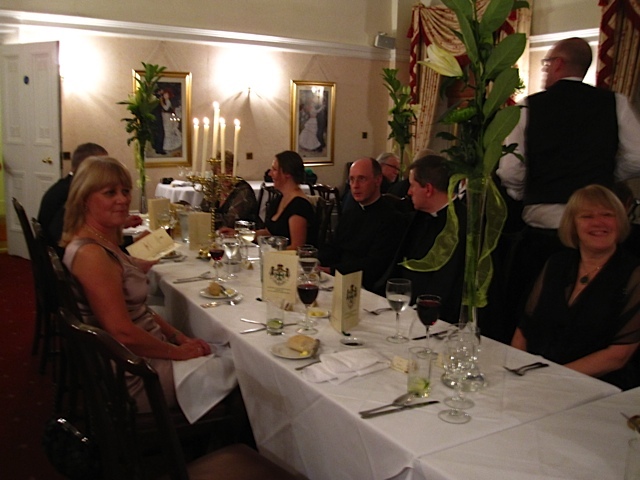 Afterwards, we held a Charity Dinner at Farington Lodge. On Saturday morning we celebrated High Mass with an excellent Schola singing Casali's Mass in G, followed by the Investiture of new members and a Gala Lunch. Congatulations to our new members and those who were promoted, details to follow! 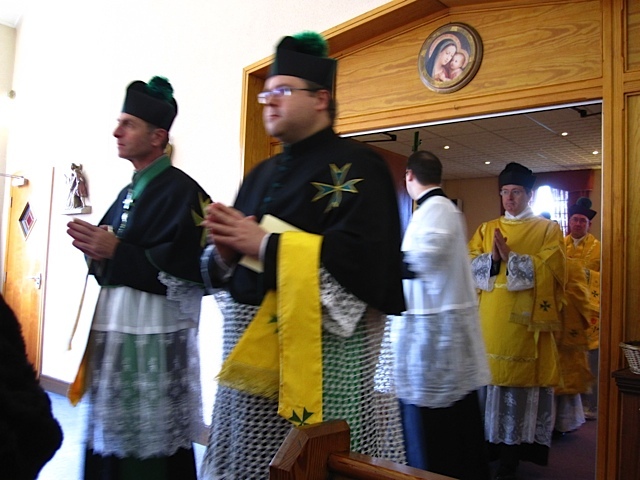 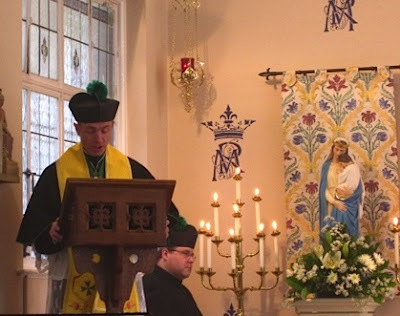 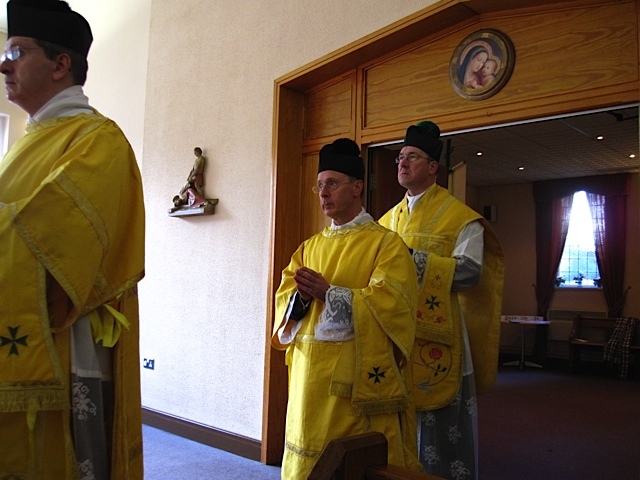 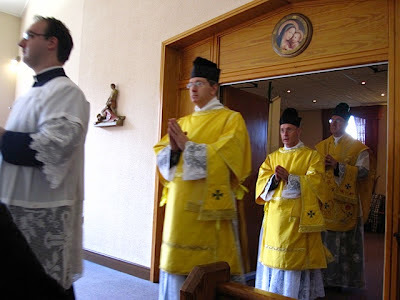 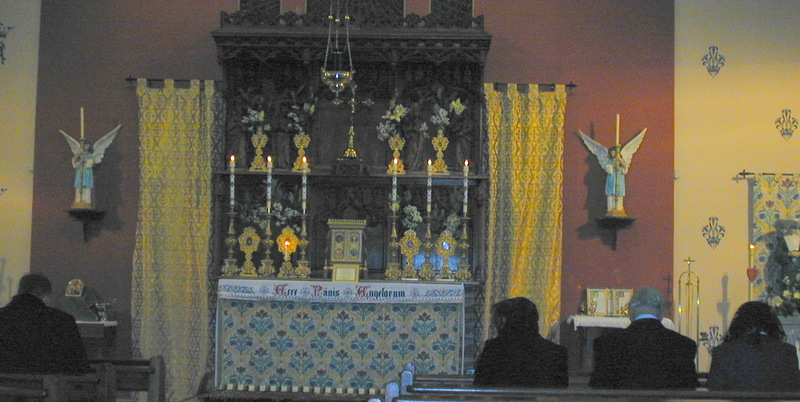 St Marriane Cope - "Mother of the Outcasts"
Message from Fr Simon Henry, Chaplain General.